Memorables quotes of Tony Montana for Scarface to use in Facebook. 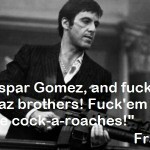 Scraps diferents images accompanied by the famous film actor. Remeber the legendary say hello to my little friend and another quotes very famous. 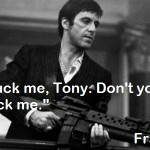 This movie put Al Pacino in the listo of the most legendary gangsters in the world. 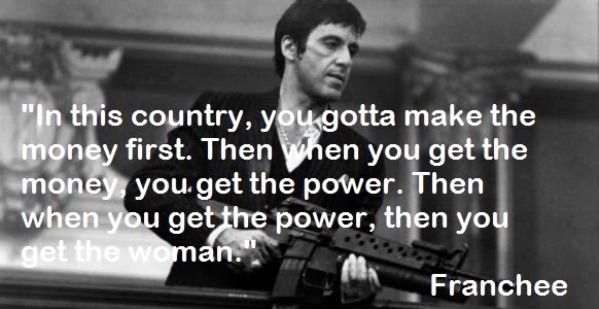 He is the king. 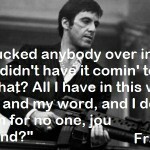 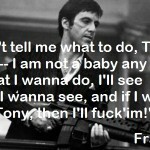 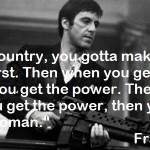 This entry was posted in Pictures and tagged facebook, quotes, scarface, tony montana by Emiliano Morla (Google+). Bookmark the permalink.